Blogger Outreach and the Seven Deadly Sins. Let's Dig in. As business buyers get more challenging to reach—thanks to email filters, ad blockers, and caller ID—influencer marketing is becoming more popular as a way to break through the clutter and connect with these hard-to-reach buyers. It’s essentially about building credibility with buyers by developing relationships with industry influencers they already trust. Done right, influencer marketing helps to raise your profile in your industry, get in front of new but relevant audiences, and even get a bit of SEO benefit. Done wrong, it can seriously damage both your personal and brand reputation. If you’re a blogger on the receiving end of crappy outreach, you can relate to this. If you’re a marketer who wants to use influencer marketing strategically to reach new buyers and improve digital marketing results, use influencer marketing best practices—not the sketchy, deadly sins of guest blogging outreach below. This is the most common sin in bad blogger outreach. It’s clear you’ve clearly never actually read the blog, you violate any rules for guest bloggers that may be posted there, propose inappropriate topics, and worst of all, don’t even personalize your pitch with the blogger’s first name (HINT: there is no blogger on earth whose name is “Hello” or “Hi there”). Many bloggers won’t even respond to such slop, much less agree to evaluate a submission. You follow up aggressively and insistently when you don’t get a response to your initial crappy outreach. It’s astonishing how many self-proclaimed “professional writers” produce copy that’s laden with mixed verb tenses, passive voice, bizarre word choices, or stings of words which vaguely resemble but do not actually form a coherent sentence in the English language. That, or it’s filled with Captain Obvious type statements like “SEO is an important tactic today.” Really? Your outreach email seems to suggest you believe that if a particular blog has ever published a guest post from anyone, then you are entitled to be published there as well. That’s not how it works. It’s painfully obvious from the wording and structure of your email that you have sent exactly the same message to a long list of bloggers, with perhaps as a variable field. See also “Sloth” above. You have no desire to build a long-term relationship with the influencer or blog audience. What you’re after is the guest blog post equivalent of a one-night stand: relatively quick, not too much effort, and as long as it was good for you, nothing and no one else matters. Your only purpose for the guest post is to promote your business or get a few backlinks you think will help with your SEO. There’s no effort made to actually produce informative content that will benefit readers. Wouldn’t it be fun to set all that up on an autoresponder? Finally, though it’s not among the seven deadly sins, most religions warn against following false prophets (or profits). 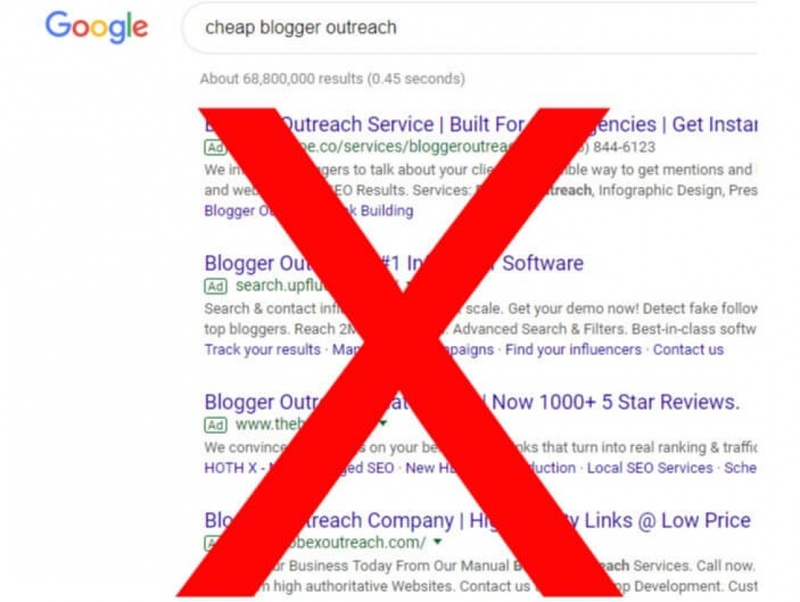 There are apparently “gurus” out there suggesting that various techniques for high-volume automated blogger outreach can help with SEO. This is a bad idea. At best you’ll get a small, temporary bump in rankings, while badly damaging your personal and brand reputation. At worst, Google will catch on and hit your site with a manual penalty. Avoid these deadly sins of blogger outreach. Do influencer marketing the righteous way instead, and the “blessings” for your brand in terms of awareness, credibility, and improved search presence, will be abundant. The original version of this article was first published on Webbiquity.